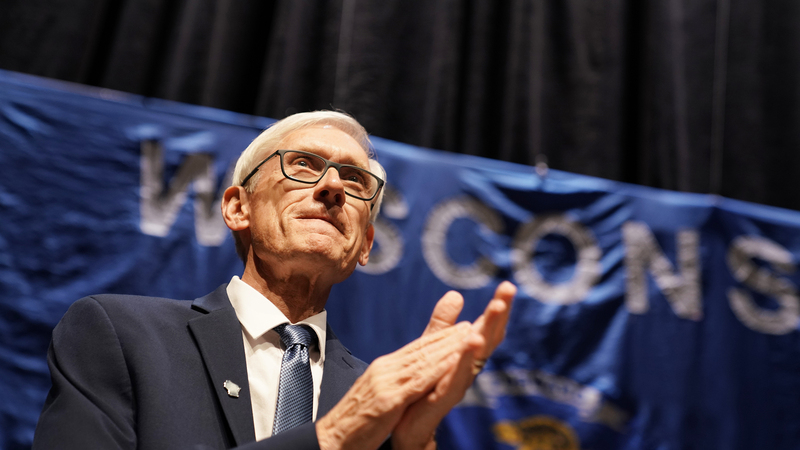 In the closest governor's race in Wisconsin in more than 50 years, state schools Superintendent Tony Evers defied odds, becoming the first Democrat to win an election against Republican Gov. Scott Walker. When when the race was called at 1:24 a.m. Wednesday, Evers led Walker by a margin of 49.55 percent of the vote to Walker's 48.47. Supporters of both Evers and Walker gathered at watch parties across the state, with Evers rallying voters at The Orpheum Theater in Madison, and Walker gathering people at the Ingleside Hotel in Pewaukee. These photos give a sense of the feeling at those parties as the election results began to trickle in Tuesday evening and into early Wednesday morning. 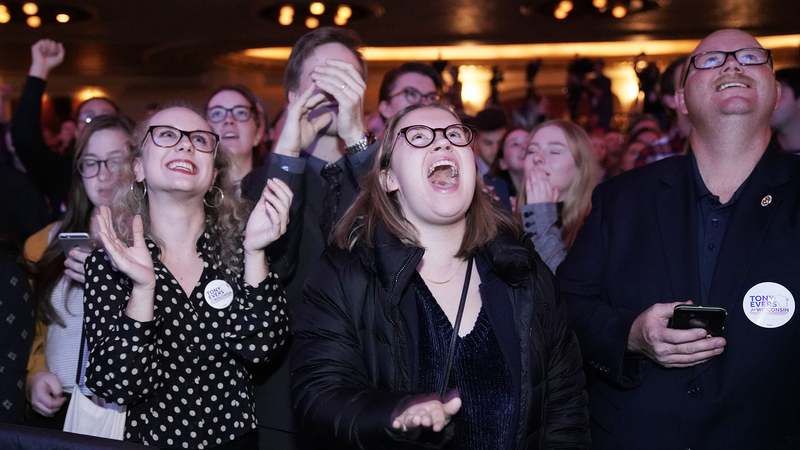 Laurel Noack of Wausau, center, gets excited by early results as Democratic candidate for governor Evers held an election night event Tuesday at The Orpheum Theater. Evers addresses supporters after being declared victor of Wisconsin's governor race early Wednesday. "I can promise you this, I'll be focused on solving problems, not picking political fights," Evers told an ecstatic crowd, adding, "The real work starts tomorrow. It's time for a change. The voters of Wisconsin spoke and they agreed. A change is coming, Wisconsin." 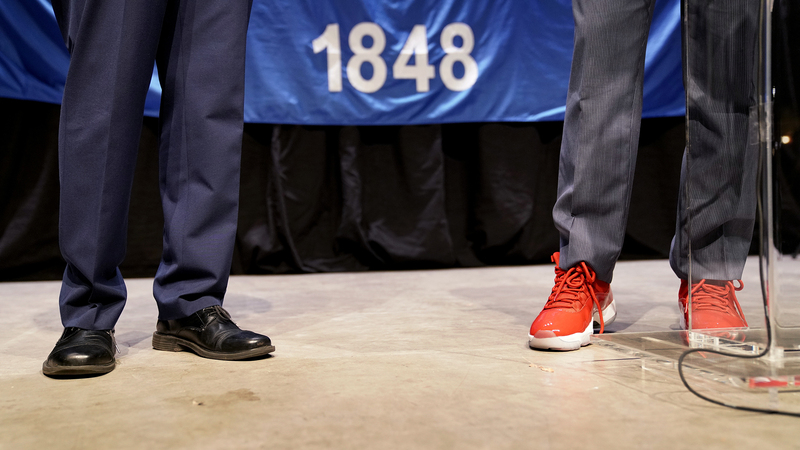 Evers dons dress shoes while his running mate, candidate for lieutenant governor Mandela Barnes, sports bright red tennis shoes at their election watch party. Supporters celebrate the governor's race being called for Evers early Wednesday morning in Madison. Evers and Barnes join hands after addressing a crowd of cheering supporters. 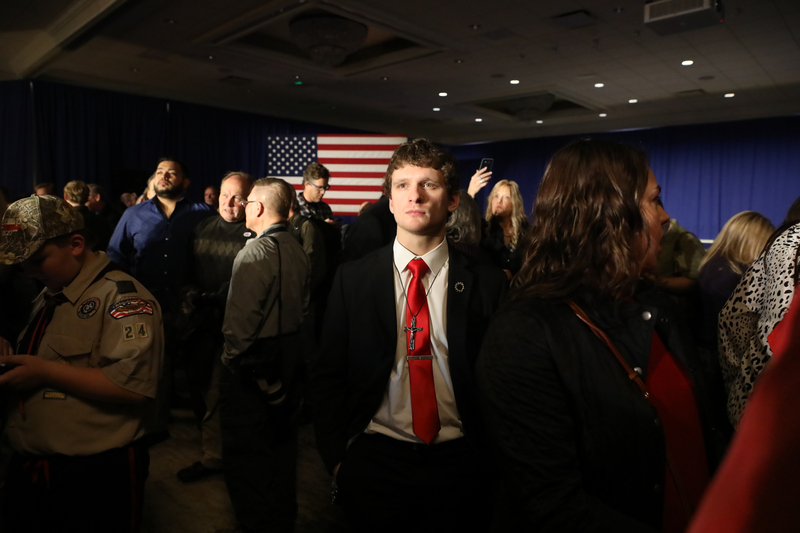 Evan Barczynski, 25, watches early election results at Walker and state Sen. Leah Vukmir's watch party at the Ingleside Hotel in Pewaukee. "I'm voting for the side I believe stands with god," Barczynski said. "I'm pro-life, It's about the babies." 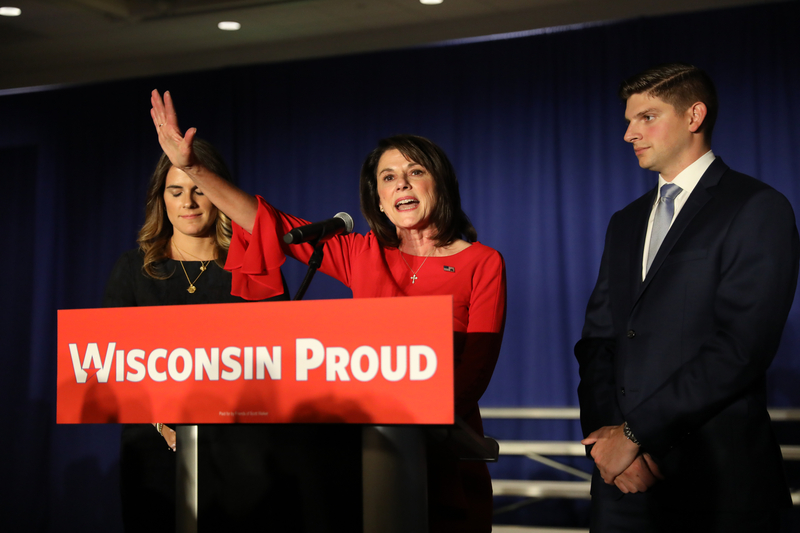 Vukmir — joined by her two children — concedes Tuesday after losing to Democrat incumbent U.S. Sen. Tammy Baldwin. With 100 percent precincts reporting, Baldwin secured 55.44 percent of the vote compared to Vukmir’s 44.56 percent. "We ran a pretty hard race, and we ran a race as hard as you could run in Wisconsin, and I'm proud of the race we ran," Vukmir said. 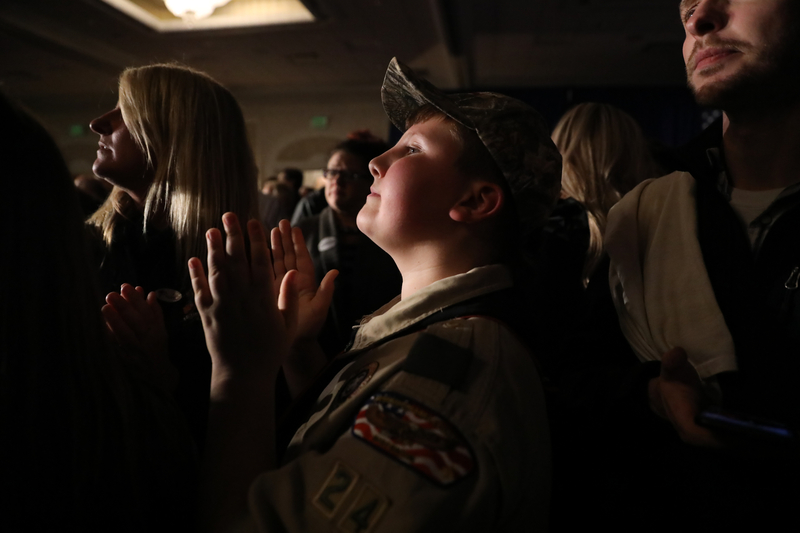 Jacob Hucke, 12, watches election results come in at Walker and Vukmir’s election night party. Hucke was joined by his mother Theresa Hucke and his 10-year-old sister Alyssa Hucke. 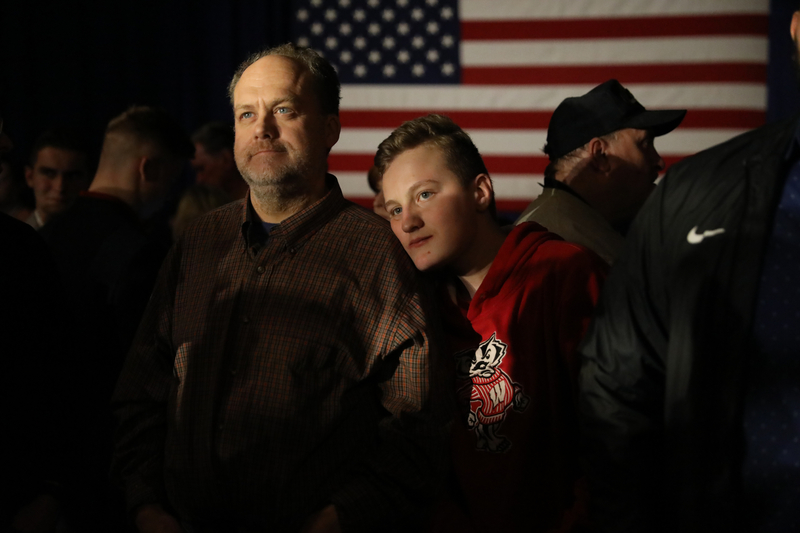 Mike Chrisien, left, and his son Harry Chrisien, 13, from Waukesha, are seen at the Walker watch party. 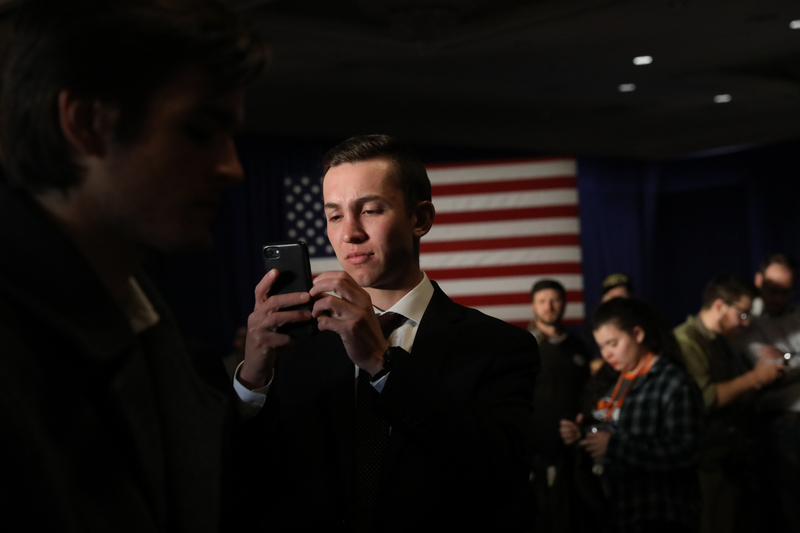 Nick Valentino, a student at Marquette University, is seen toward the end of the Walker watch party at the hotel in Pewaukee. He is from the Chicago suburbs but voted in Wisconsin. Editor's note: The Wisconsin Center for Investigative Journalism's Coburn Dukehart and Wisconsin Public Television's Marisa Wojcik contributed all photographs for this story. WPR's Jenny Peek contributed to this story.